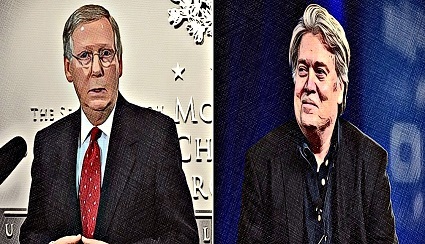 Ah yes, the Republican Party establishment’s saga of “Blame Steve, Destroy Trump and the American dream” continues…but should we? …At its height, Russell employed at least 7,000 people in Alabama. Strange enters the Russell story as a lobbyist for the powerful political broker and law firm Bradley Arant Boult Cummings LLP. Russell paid the firm $660,000 for Strange’s lobbying efforts between 2000 and 2006. One of Russell’s major political focuses at the time: getting the U.S. to sign onto a NAFTA-style free trade agreement with Central American countries. Details of Strange’s lobbying efforts are hard to come by. 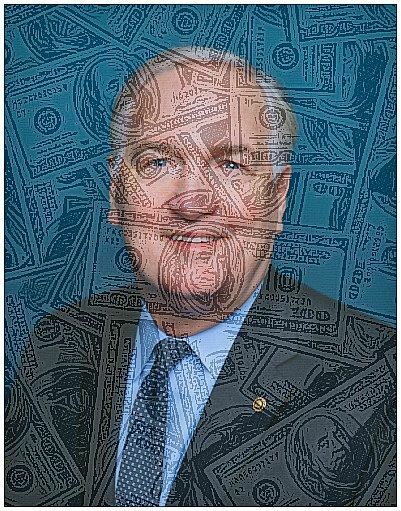 Alabama is sooo lucky to have a candidate like “Big” Luther Strange. Smart, tough on crime, borders & trade, loves Vets & Military. Tuesday! Strange is a trade hawk which will guarantee the further loss of American jobs. President Trump who is holding a rally for Strange on Friday, I believe, is playing this time around for the wrong team. Breitbart News is reporting that Strange has refused to grant them an interview. What is he trying to hide?